Percona is glad to announce the second beta release towards Percona XtraBackup 2.0! We call this version 1.9.1 as we are using the 1.9.x version numbers for betas of 2.0 to clearly differentiate beta releases from the final 2.0 release. We do not recommend using Beta releases in production. Link to BETA version and Release notes. If you are looking for a stable release for production use, check out our latest stable release (which was 1.6.5 at the time of writing). This beta adds some really exciting features and bug fixes. Backup and restore of LRU dump. For servers that support dump and restore of the XtraDB buffer pool (LRU), namely Percona Server, this will enable a server restored from backup to give excellent performance without a lengthy “warm up” time. If provisioning a slave, this means your new slave will end up with a warmed up buffer pool to mimic that of the master. It is now possible to stream incremental backups, lifting a limitation from previous versions where it was only possible to stream full backups. Percona XtraBackup can now use multiple CPUs to perform a compressed backup, significantly reducing the amount of time needed. Parallel compression (‘--compress-threads‘) can be used together with parallel file copying (‘--parallel‘). For example, ‘--parallel=4 --compress --compress-threads=2‘ will create 4 IO threads that will read the data and pipe it to 2 compression threads. New streaming format to work with parallel compression. The xbstream format is now supported along with the tar format. The new xbstream format works with parallel compression to (without caching) stream several compressed files at once. tar4ibd functionality is replaced by functionality in the xtrabackup binary itself. This utility has a tar like interface to the xbstream format. Benchmarks generates transactions with a given rate, i.e. M transactions per second and puts into a queue. The interval between arrivals is not uniform, but rather distributed by Exponential distribution, with ? = M. That how it goes if to believe to the Poisson process.
. If you are not in San Francisco and can’t not make to MySQL Conference, you may attend webinar. Tutorial on PL MySQL Conference Galera Synchronous Multi-Master Replication for MySQL. As I expect, the whole Codership Oy team will be on the conference – this is a good chance to meet with developers of Galera. My talk on PL MySQL Conference Percona XtraDB Cluster: New HA solution. So if you interested to hear or read more on this topic, there is good deal: Register for conference before 1-Mar-2012 with code PL-Book, and you will receive our book for free (in the additional to ridiculously low early-bird prices). This howto assumes that you already have a decent know how of LVM and snaphots and using LVM2 >= 2.02.58 (January 2010) which is when the --merge option was made available to the lvconvert binary. Base installs of Ubuntu 11.04 (Natty) and CentOS 5.7 includes packages with this feature, previous releases might also include them via supplemental repositories i.e. updates on CentOS. If you are using InnoDB, it is also important that your transaction logs (ib_logfile*) are on the same logical volume, if not, you could potentially trigger crash recovery when an LSN mismatch occurs and still end up with inconsistent data. Now, assuming I have the following logical volumes – mysql-data for my datadir, and mysql-logs for my binary logs. I also have the latest snapshot of the mysql-data logical volume taken named ‘mysql-data-201202230157‘ using a script* I put together to make sure I have a consistent snapshot of the MySQL data files. Restoring snapshot alone may not be enough since there can be a lot more events from the time of the snapshots until you discover the problem, so it is really important that you have your binary logs on a different LV or copied it someplace else if they are on the same LV before we restore. Taking a new snapshot .. Suppose sometime after the snapshot, I accidentally dropped the salaries tables from the employees database! (Oops, I can have an angry mob of employees who may not get their salaries on time!). 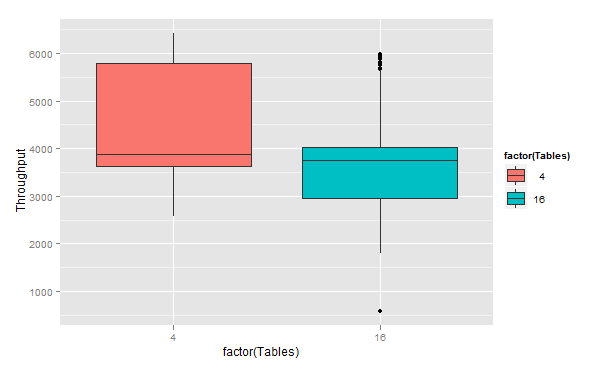 mysql> drop table salaries; -- Ooops! With the last snapshot I have above, I should be able to restore up to before the first DELETE statement above. If you use my LVM snapshot script*, it also saves the binary log coordinates when the snapshot was taken and saves it into a file specified as variable on the script. Below is the binary log coordinates for when the last snapshot on my list above. Using the coordinates above, I can start searching for the position of the DELETE statement so we can skip that after the snapshot restart. Using the below command and some inline searches, I was able to pinpoint the position of the delete statement, it is at 336797160. Now, let’s restore our data from the snapshot, under the hood restore is really a “rollback” to the snapshot state when it was taken. We will do this using lvconvert’s –merge option, to merge the state of the snapshot to the original LV. Merging of volume mysql-data-201202230157 started. Merge of snapshot into logical volume mysql-data has finished. You should shutdown MySQL first, then unmount the logical volume holding the MySQL data. This way you don’t have to deactivate/activate the original logical volume to start the merging. So let’s see if our salaries table is restored. So, as you can see, I now have a consistent data and still have my salaries table back. Because leaving a production server with active snapshots can affect performance, this is not really an advisable backup solution. If your server somehow blew up in flames, hardware problems or encounter and LVM bug, your snapshots are useless. Also, you cannot test restore your snapshots – they are one time use! However, if you can tolerate the extra IO overhead i.e. development or staging server , then this is still a valid backup method of course on top of your regularly tested (offsite) backups. Another ideal use case for this method is when you are planning to execute a long running ALTER or server upgrade, this method can be good quick rollback procedure in case something fails during the operation. on using XtraBackup for SST. Please test it if you are going to try XtraDB Cluster. Please note, this is a beta release, not suitable for production yet. Bugs and some rough edges are expected. We are encouraging you to try and play with it in testing environment and report us your feedback and experience. We expect to have a production-ready release by the end of March 2012. 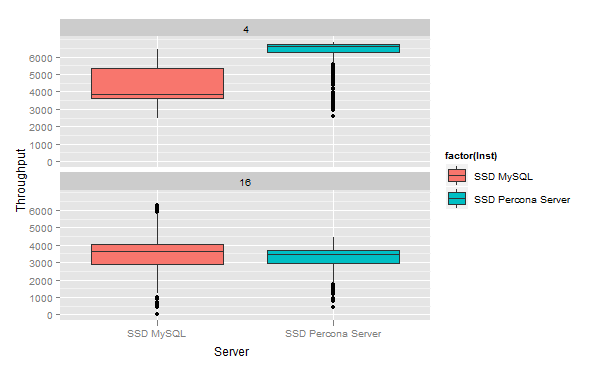 The initial benchmark is described in Benchmarks of Intel 320 SSD 600GB, and the result for MySQL 5.5.20 in case with 4 (46GB of data) and 16 tables (184GB of data) you can see in my experiments with R graphics. 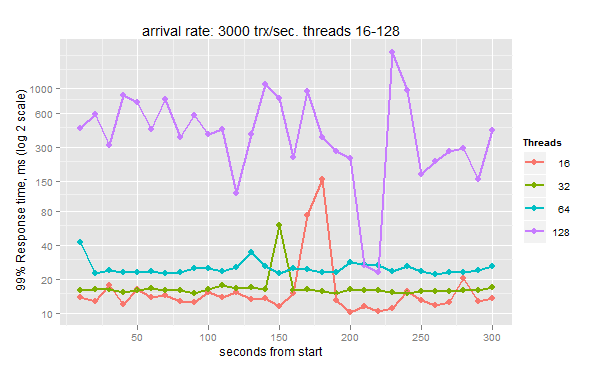 As you see with Percona Server we have stable and predictable lines. Now, how to compare these results ? 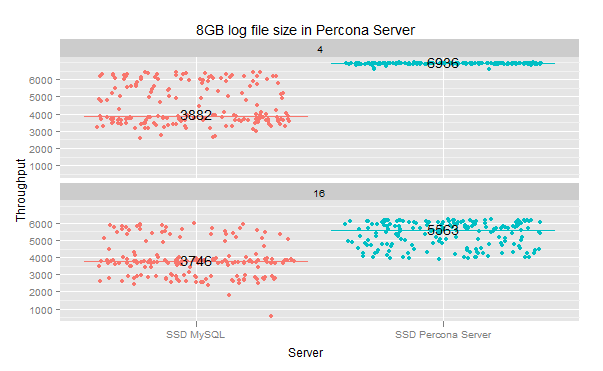 One, looking on this graph, may come to the conclusion: wow, there is a regression in Percona Server. 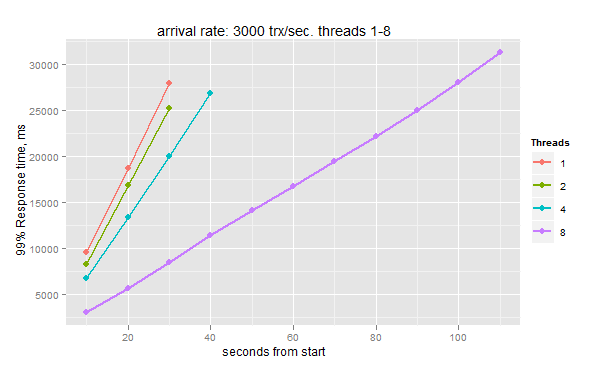 The Percona Server is still slower, but you say me, would you rather prefer a stable throughput or sporadic jumps ? 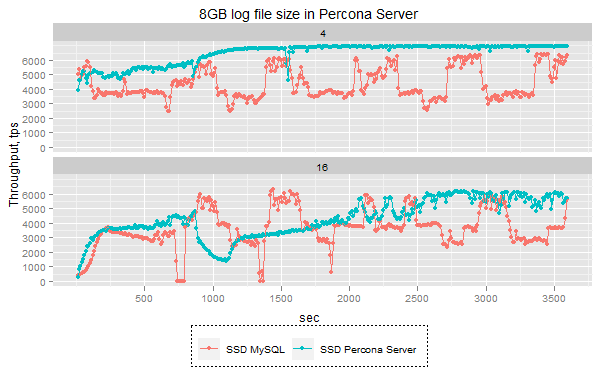 Furthermore, there is a way to improve throughput in Percona Server: increase innodb_log_file_size. 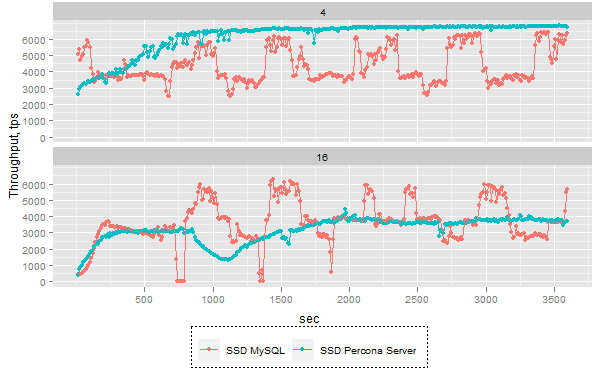 So, in the conclusion, you can see that with a proper tuning, Percona Server/XtraDB outperforms MySQL, and provides a more stable throughput. Of course if a tuning is too hard to figure it out, you always can fall back to the vanilla InnoDB-plugin, like MariaDB suggests in Benchmarking MariaDB-5.3.4. With jitter we see some dense areas, which shows "most likely" throughput. 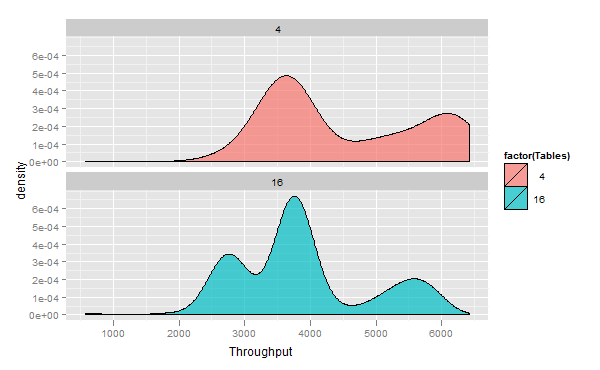 - the line at the bottom of a box - 25% quantile (you should have an idea already what does that mean). You may decide what measurements you want to take to compare the results - median, 75%, etc. 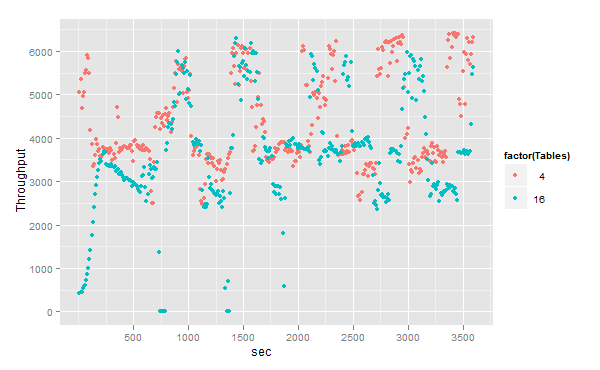 And, yes, if you wonder what to do with such unstable results in MySQL - stay tuned. There is a solution. 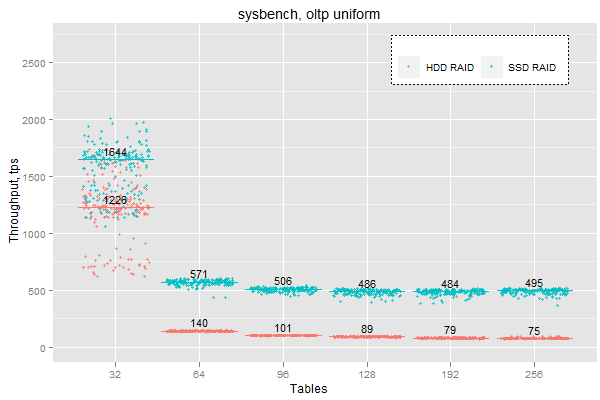 For the benchmark I took a sysbench uniform oltp rw workload. 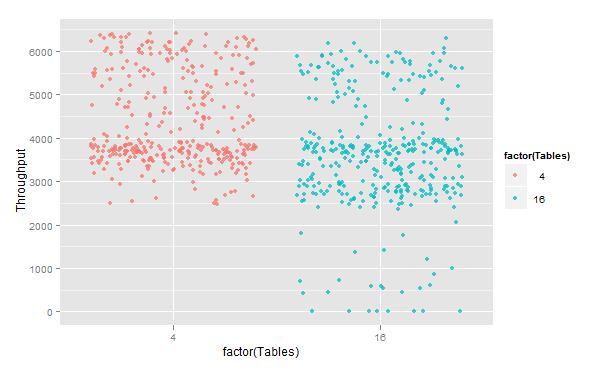 256 tables, 50mil rows each, which gives in total 3T of data. 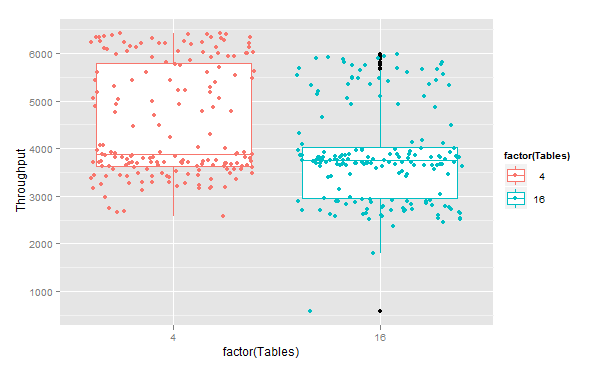 To vary a ratio memory/data I will vary an amount of tables from 256 (3TB) to 32 (375GB). 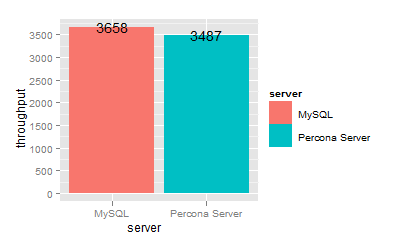 As a backend database I use Percona Server 5.5.19. 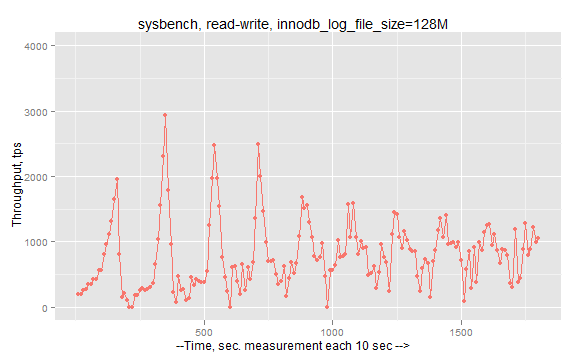 I should mention that on these datasizes, sysbench workload is pretty nasty, MySQL will mostly reads and writes pages from buffer pool (replacing pages in buffer pool). This however allows us to see the best possible scenario for SSD running under MySQL, the final result will show the best possible gain. I do measurements every 10 sec to see stability of results. As you can see, on the big datasizes we have 5-6x improvement. However on 32 tables (375GB of data), the result became unstable. 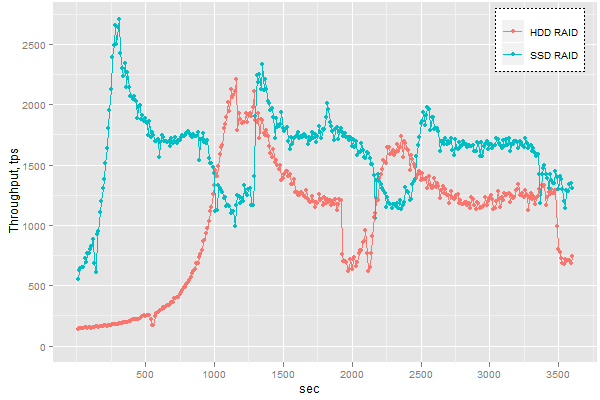 There is a graph with time series with 10 sec measurements. It looks like we are having symptoms of the flushing problem. This is to investigate later. The scripts and raw results are on Benchmarks Launchpad. In this post, I’ll cover the new MySQL monitoring plugins we created for Nagios, and explain their features and intended purpose. I want to add a little context. What problem were we trying to solve with these plugins? Why yet another set of MySQL monitoring plugins? The typical problem with Nagios monitoring (and indeed with most other monitoring systems) is the alert spam. I’ve spoken to a lot of users with monitoring systems over the years, and everyone says that they get a lot of false alarms, and that they have email filters set up for alerts. Recently I spoke to one person who gets about thirty thousand alerts per week (!!!) in his email. I’m sure you can see that this makes the monitoring system much less effective. The usual cause of such noisy monitoring is when you alert on things that don’t really indicate problems. Alert only on things that reliably indicate a real problem. Do not alert on a threshold that merely indicates something is abnormal; abnormal things happen constantly. 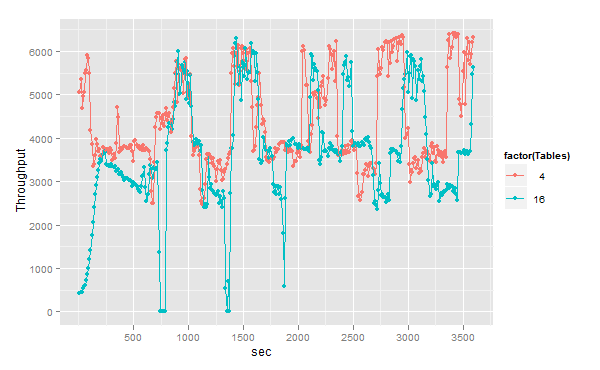 It’s useful to spend time investigating abnormalities, but in general, you should try to make sure that doesn’t creep into your fault-detection alerts. Alert only on things that are actionable. If you get an alert and you can’t do anything about it, that’s a certain recipe for a /dev/null email filter. Avoid ratios and thresholds as much as possible, because they are rarely actionable or reliable indicators of problems, and it’s difficult or impossible to find the right threshold for all situations. This suggestion is a consequence of the previous two, but it’s worth calling out separately in my opinion. I’ll highlight a couple of threshold-based alerts later in this blog post, and explain the need to be careful with them. Although we’re not finished with the plugins, we have a usable starting point, and we’ll build on it as time passes. The plugins we created are based on our analysis of several hundred customer downtime incidents, and their causes and preventions. You can read more about that research in our white papers, here and here. Failed or full LVM snapshots. LVM backup strategies can fail to delete snapshots after finishing, sometimes due to the backup script failing before completion. Additionally, LVM snapshots that don’t have enough copy-on-write space can fail before the backup completes. The pmp-check-lvm-snapshots plugin will alert when a snapshot is failed or overly full. Too many deadlocks. Deadlocks (and lock wait timeouts, covered in another plugin) are frequent causes of serious errors in applications because the applications often don’t handle deadlocks correctly, and in many cases also don’t log the resulting errors. The best place to fix these problems is in the application, but the DBA really needs to be monitoring it as well, because an application error can creep in easily and be deployed, and you will not find it anywhere but in production. The pmp-check-mysql-deadlocks plugin can help you detect such problems, in conjunction with Percona Toolkit’s pt-deadlock-logger tool. Open but deleted filehandles. It’s quite easy for a bad logrotate script (such as the one that ships by default with many server installations) or a system administration mistake to delete one of MySQL’s log or data files from disk. The database server will continue to function, however, because the file isn’t really deleted. The MySQL server keeps an open filehandle to the file, and it won’t be deleted until the server restarts, so the problem remains undetected while it becomes more and more severe. This can cause two serious types of problems: the disk can fill up with no apparent cause or solution, or you can restart the server and lose your data permanently. The pmp-check-mysql-deleted-files plugin will alert when files have been deleted but remain open via a filehandle. Wrong filesystem privileges. It’s very easy for a file to creep into MySQL’s data directory with wrong permissions, without causing problems until a later date. For example, if a database isn’t owned by MySQL, you won’t have any problems until you try to create or drop a table, or the database itself. Likewise, if a system administrator leaves a temporary file in the database directory and then you try to drop the database, it will fail. These things tend to happen at inconvenient times. The pmp-check-mysql-file-privs plugin checks whether MySQL owns every file and directory within its data directory. InnoDB is getting stuck, has long-running transactions, or other problems. The pmp-check-mysql-innodb plugin checks for several indicators of severe internal problems within InnoDB, such as contention that crosses a tipping point and cripples the server. Sometimes such conditions are like credit card debt: easy to start, impossible to dig out afterwards. Another very common cause of serious incidents is application misbehavior, such as opening a transaction but never committing it, which creates a lot of bloat or locking in the database server. This plugin can alert on that and a couple other types of common problems, too. Missing PID file. A variety of problems can delete MySQL’s PID file, such as a buggy init script that attempts to start the server when it’s already running, or executing the server by hand instead of through the init script. Overly zealous cron jobs to delete old files in /tmp can do the same thing. If the PID file is missing, then many init scripts will behave very badly. Sample problems include starting two instances of MySQL on the same files in the data directory, and refusing to shut down MySQL so that it is killed forcibly (i.e. crashed) instead of gracefully shutting down for a system reboot. The pmp-check-mysql-pidfile plugin verifies that MySQL’s PID file exists. Evidence of contention in the processlist. The pmp-check-mysql-processlist plugin checks SHOW FULL PROCESSLIST for patterns that indicate similar problems to those discussed within InnoDB, but it can find evidence of problems in the server as well as the storage engine. For example, a pile-up of connections all trying to open or close tables can indicate LOCK_open contention. Replication is delayed or stopped. Our plugins are structured to monitor as few things as possible, but as many as needed. Replication is one thing that needs to be monitored in two dimensions, which shouldn’t be combined: delay (Seconds_behind_master or the delay indicated by the pt-heartbeat tool, if you choose), and actual failure. The pmp-check-mysql-replication-delay plugin checks for excessive delay, and pmp-check-mysql-replication-running checks that replication is functioning correctly. Replicas have different data than their master. 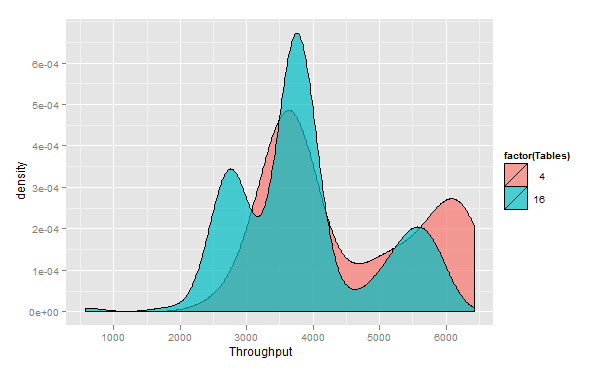 In addition to delay or failure, replication can fail silently and data can diverge or drift on a replica. The pt-table-checksum tool from Percona Toolkit can generate table checksums, and the pmp-check-pt-table-checksum plugin can alert when those checksums indicate that the replica is not logically identical to its master. The server is allocating too much memory. A runaway server process, or poorly optimized queries, can consume too much memory and cause the server to swap until it is unresponsive and has to be power cycled. In addition, other processes can be runaways, too, such as a poorly written script or daemon; it is not unheard of for a monitoring agent or RAID utility software to do this. The pmp-check-unix-memory plugin checks for a single process consuming too much memory and/or for too little free memory in general. This plugin requires careful configuration because it uses a threshold for which there is no good one-size-fits-all value. This plugin, perhaps more than any other, should only be used judiciously. The server has been restarted recently. It is surprising how often a server crashes, perhaps even cycling through crashes, and is not detected until sometime later when the problem has grown much more serious. You can use the pmp-check-mysql-status plugin to alert when the server’s Uptime variable is too small. The server is approaching max_connections. Overflowing the max_connections setting is a bit like a lack of disk space: it is possible for it to be slowly approached over time, and then to begin causing problems when connections are rejected. Similarly to deadlocks and timeouts, applications often don’t handle or log this error appropriately. The pmp-check-mysql-status plugin can be configured to alert when Threads_connected approaches max_connections too closely, which can give the system administrator time to address the situation before it becomes a problem. This check requires careful configuration, or it too can become a noise generator. However, if your application environment makes it difficult to handle max_connections problems (the use of fixed-size connection pooling, for example, which can sometimes require application downtime to resolve), then it might be worth considering to let you deal with the problem when it’s convenient instead of when it’s urgent. In addition to the checks in that list, there are several others that can be performed with existing plugins, so there was no need to write new ones. For example, the plugins that ship with Nagios are suitable for checking that the server is alive and responds to a query. In future releases we will include more plugins to monitor more types of problems, but the current plugins already cover some of the most common and severe conditions that we’ve observed to cause actual production downtime. Please download and try out the plugins, and help us improve them. If you are a customer and you need help configuring any of the plugins, we are happy to assist. In addition, please ask our sales staff to include a free monitoring setup in a new support contract. I believe they will be happy to negotiate this with you.